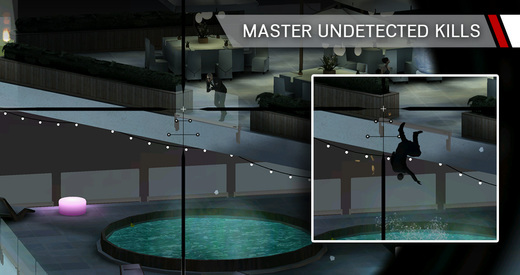 Take on the role of Agent 47 and scope in on your marks using skill, subtlety, environments and subterfuge to complete your contracts. 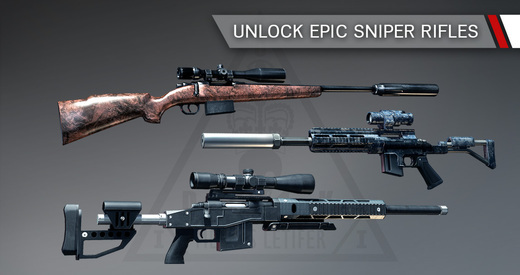 Spend your hard earned blood money on a wealth of powerful rifles and authentic, game-changing upgrades. - Bug fixes and various improvements. The holiday spirit has taken over Montenegro! Take a look under the tree, Santa has left a very special present for you to spread the joy with. Merry Hitmas! Spirits are haunting the mansion in Montenegro, and the guests are all dressed up for the occasion. Time to play some pranks and give them a good scare. Have a spooky Halloween! Krug is celebrating the Chinese New Year with fireworks, pyrotechnics and explosions. Embrace the new DRAGUN rifle and purge your enemies by fire! - Chinese New Year themed EVERYTHING! - Incendiary rounds set the world on fire. - Fireworks lure guests outside the mansion. - Manipulate the scene with sticky land mines!